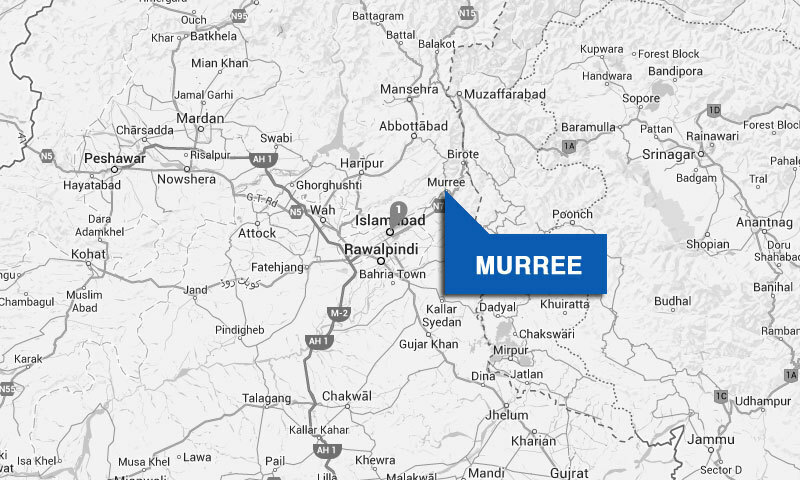 MURREE: Despite a ban imposed by the Punjab government on all types of constructions in the resort town of Murree, influential people continue raising buildings and private houses. Among the violators of the ban are Prime Minister Nawaz Sharif who has his house at Kashmir Point, former minister and PML-N leader Tehmina Daultana and Ameer Muqam, the adviser to the prime minister.On the one hand the local residents cannot construct even a small house but on the other influential people violate the ban openly in connivance with the officials of the Town Municipal Administration (TMA). On public complaints about the construction of buildings violating the building by-laws, the Punjab government banned all types of constructions some eight years ago. But influential people in collusion with the TMA officials openly violate the ban. The owners of these buildings carry out the construction work behind iron sheets installed on the roadside, especially at nighttime. Buildings which have been constructed in violation of the ban are mostly located at Darya Gali, Chhattar Garden, Upper Jika Gali Road, Kuldana Road, Rawat, Bhurbhan, Danna, Kashmiri Bazaar, Nair Goli Road and Expressway. Some illegal buildings are also being constructed on Lower Jika Gali Road. It may be noted that after the collapse of a multi-storey building on Hall Road in September 2006, in which three persons were killed, the then Chief Justice of Pakistan Iftikhar Mohammad Chaudhry took suo motu notice and asked the then town nazim Murree and the district nazim of Rawalpindi for detailed reports about the illegal buildings in Murree. The then town nazim Murree presented a list of 162 buildings to the court declaring them either illegal or dangerous for human dwelling. He appealed to the apex court to give him two months to demolish these buildings, which was granted by SC. But ironically no considerable action was taken against such buildings despite the direction of the court. Even the supply of electricity and water was not disconnected to the illegal buildings and gas connections were provided to them with the connivance of the staff members of TMA. When contacted, Assistant Commissioner Murree Tahir Farooq, who is also the town administrator, did not deny the construction at the residence of the prime minister but said the construction was being carried out for a lunger (free provision of food to the poor and needy). About the construction of houses by Ameer Muqam and Tehmina Daultana, he said they constructed portions in their buildings but the TMA demolished them. He said internal renovation was not being stopped by the TMA.